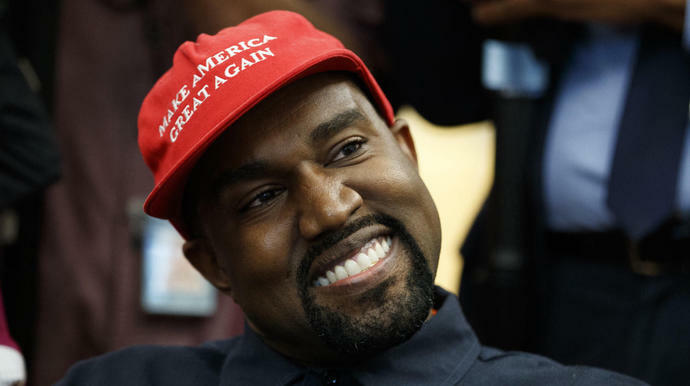 The world is still talking about Kanye West's bizarre lunch with President Donald Trump ― including White House staffers. And many of them are feeling "hugely embarrassed" by the president's Oval Office meeting with the rap star, New York Times White House correspondent Maggie Haberman told CNN on Friday. "If you look [at the president's] face as Kanye West was doing, essentially, his filibuster standing in front of the Resolute Desk, [Trump] looks speechless and confused, right. [He's] uncertain quite what to do with this," Haberman said. The reporter pointed out the facial expressions of Trump's daughter and son-in-law as further examples of the mixed reaction. "You can see Jared Kushner there looking very happy, his wife Ivanka Trump not looking quite as happy," Haberman said. "That represented the split that you saw within the White House." Haberman said White House staffers were troubled by the optics of the meeting. "I heard from other West Wing aides who were hugely embarrassed that that had happened, thought that was not a good look, that this is not a rock concert," she said. West, wearing a red Make America Great Again hat, held forth for nearly 10 minutes in what seemed like a stream-of-consciousness rant. When he finished, Trump remarked: "I tell you what ― that was pretty impressive. That was quite something."